The actor's statement comes after the Supreme Court declined urgent hearing on a review petition filed against its verdict allowing entry of women of all ages into Kerala’s Sabarimala temple. The top court on Tuesday had said that the “review petition will come up for hearing in due course of time”. Two petitions – filed by National Ayyappa Devotees Association and the Nair Service Society (NSS) – were filed in the top court on Monday seeking review of its judgement, contending that it was “absolutely untenable and irrational”. A five-judge constitution bench headed by then Chief Justice Dipak Misra, had, in its verdict, said banning the entry of women into the shrine was gender discrimination and that the practice violated rights of Hindu women. Following the verdict, devotees of Lord Ayyappa staged protest against the top court’s verdict outside the Raj Bhavan. 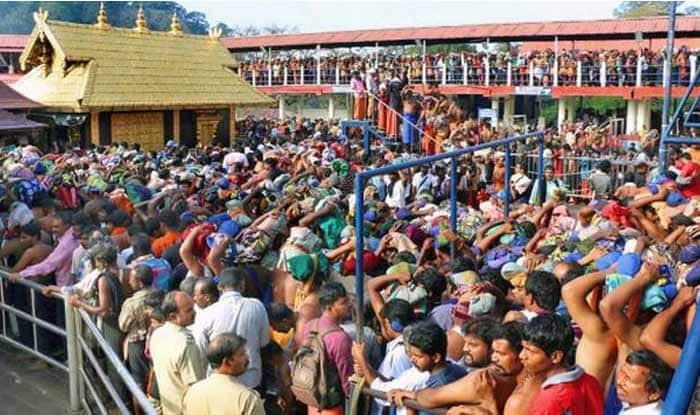 The review petition filed by Shylaja Vijayan, president of the Devotees Association, said Lord Ayyappa wanted to keep “himself from being distracted by the presence of ladies of fertile ages” and this was faith. “Faith cannot be judged by scientific or rationale reasons or logic,” the plea read. Earlier in the day, members of Pandalam erstwhile royal family, who have maintained a silence over the Supreme Court verdict broke their silence. “Our rituals can’t be broken with the Supreme Court’s verdict. We saw a month back what can happen if we provoke Ayyappan,” said a member, Sasikumar Varma.